Modern Design Review covers the best of the product, people and theory at the effervescent tip of contemporary design. The publication offers a considered and curated insight into modern design: original and creative storytelling, plus plenty of contributions from talented photographers, writers and designers sets Modern Design Review apart. We choose to focus on ideas and themes that interest us, whether they are central or peripheral, and we are committed to exploring modern design with the creativity and curiosity that the discipline deserves. Modern Design Review’s collaboration with Swedish design brand Hem sees us curate and present a collection of decorative accessories from independent designers. The works explore the idea of decoration itself, studio-production and collectability. A series of products will be curated by ourselves and launched by Hem throughout 2019 at different international events. The first is the Superscene ceramic collection from John Booth and Ian McIntyre, collaborating as Supergroup. These signed, limited edition ceramic sculptures are a reflection on the idea of ornamentation. The 3 pieces each explore familiar techniques of ceramic ornament; hand painting is applied to the rainbow in a typically dynamic style by Booth, textural glaze is decoration enough for the cloud whilst a range of dipped and brushed glazes cover the flowers. The pieces are oversized and impactful, playful and designed to give pleasure; a bold and joyful declaration of decoration. PlasticScene was an ambitious exhibition, curated in collaboration with designer James Shaw, for the 2018 London Design festival. The show aims to demonstrate the innovative and exciting works being made in waste plastics by a new generation of studio-based designers. These designers have turned their ingenuity and creativity towards this curious, complex and newly-abundant family of materials, developing innovative, experimental, sometimes necessarily ad-hoc, methods of working with it. They have embraced its inherent qualities of plasticity, strength and tactility and approached it with a sense of curiosity and optimism, rather than obligation. PlasticScene sought to elevate the perception of waste plastic, presenting it not just as a material to be feared but one to be embraced, explored and enjoyed. The exciting methods of manufacture and suggested aesthetic directions presented are important starting points and inspirations for a necessary wider use of waste plastics. The exhibition included a Plastics Library and Plastics Archive. 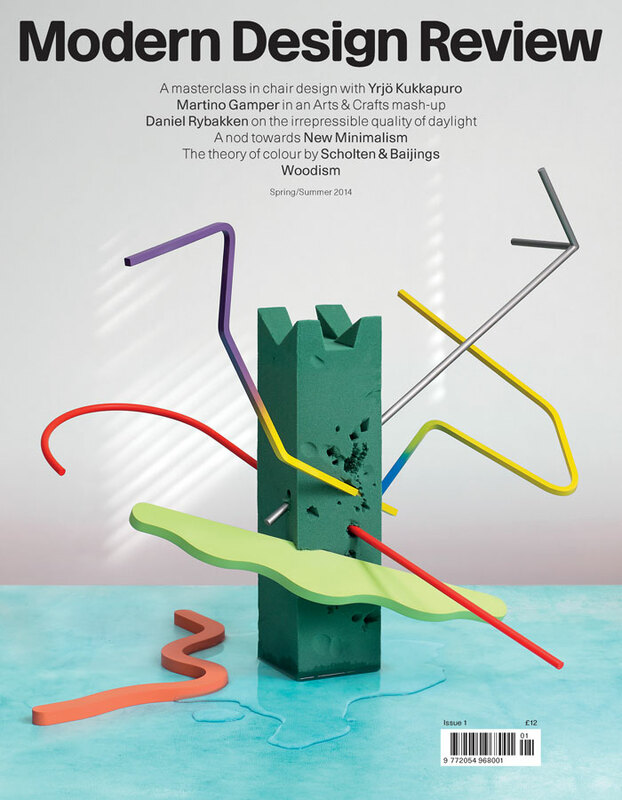 PlasticScene featured works (including new designs commissioned for the show) from: Wendy Andreu, Studio ilio, Dirk Vander Kooij, Max Lamb, Shahar Livne, M-L-XL, Kim Markel, Chris Pearce, Jorge Penadés, James Shaw, Silo Studio, Soft Baroque, Thing Thing, Chen Chen & Kai Williams. British design brand Pinch had long avoided talking about the process behind their beautifully made products. The challenge they set us was to produce a brand book that spoke truthfully and insightfully about their way of working but that simultaneously avoided any of the common clichés surrounding this type of craft-led production. We worked with photographer Samuel Bradley and art director Robbie Mahoney to produce a concept for a book that used reportage B&W photography and prose-style copy, making a timeless and personal chronicle of one small design studio’s remarkable way of working. When Ace Hotel Shoreditch invited us to make their 2017 Christmas Tree, we chose to do something a little different. 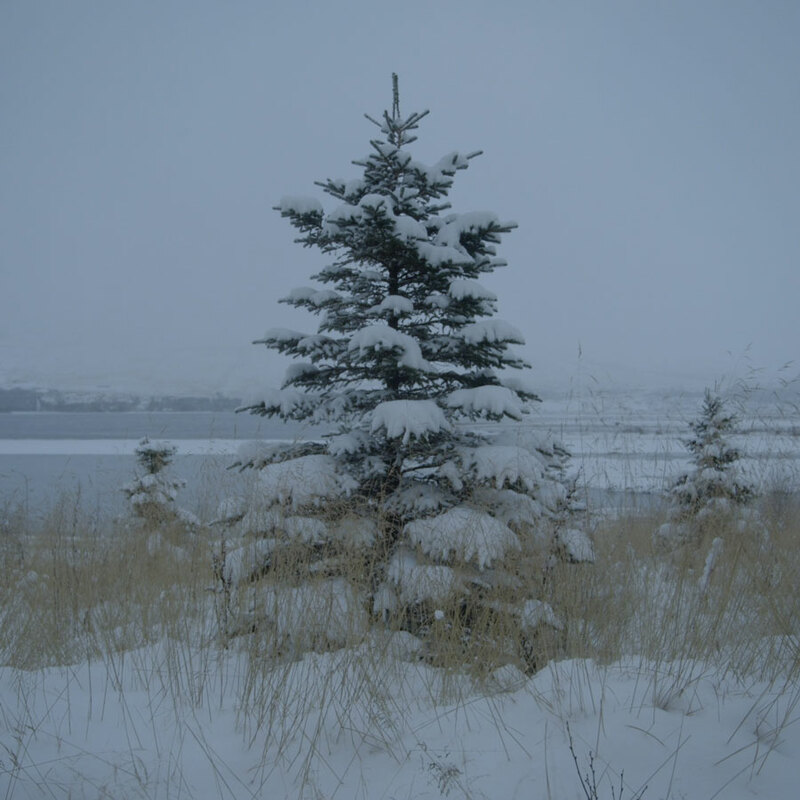 Inspired by the natural beauty of spruce trees in the wild, we commissioned an original film from Sebastian Ziegler, a talented film-maker based in Iceland, to take the place of a traditional tree. We wanted to bring the unadorned natural beauty of a spruce tree into the busy lobby of the hotel. 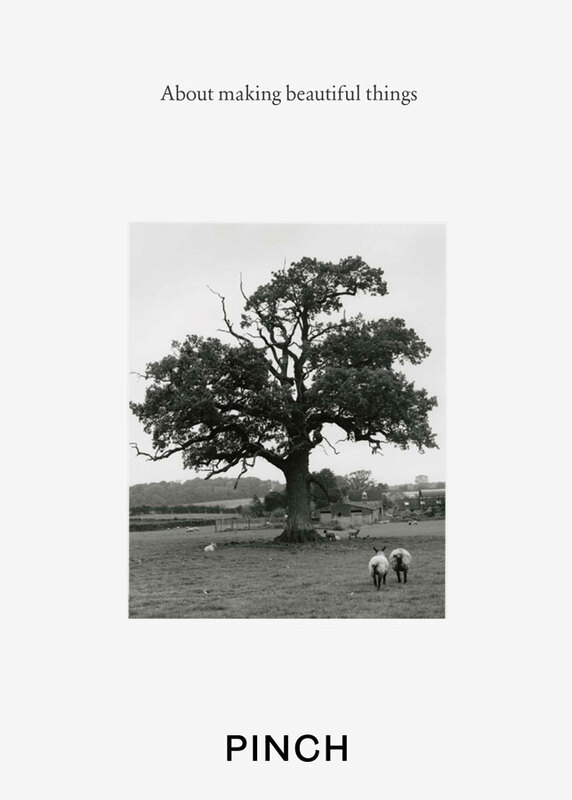 Our film was a portrait of a single tree and the beautiful but harsh landscape it inhabits. Evergreen, the resulting 12 minute film, was played on a loop in the hotel lobby throughout the festive period. For four years, Modern Design Review has produced Ready Made Go at Ace Hotel London Shoreditch. The project sees us commission and make a series of objects for this busy London hotel. This is a unique project that addresses the challenges of making products and provides an all-too-rare opportunity to design and make products with real purpose. Each year we commission the objects, they are made, launched during the London Design Festival each year and then, crucially, they are put into permanent use by the hotel. Modern Design Review carefully curates a team of both established and up-and-coming designers to make everything from everyday objects such as hundreds of soap dishes and wall hooks to large installations like a gymnasium climbing wall or art installation. Over the course of the project, 23 different objects have been made and are currently in use at Ace Hotel London. Designers commissioned: Philippe Malouin, studio vit, Hilda Hellström, Tomás Alonso, Marcin Rusak, Parsha Gerayesh, Assemble Studio, Jochen Holz, Patternity, Silo Studio, Toogood, Kellenberger White, Michael Marriott, Soft Baroque, James Shaw, Oscar Diaz, Ian McIntyre, Laetitia De Allegri, WD-DP, M-L-XL, Minimalux, Abigail Booth. MDR Gallery sells and shows contemporary design by emerging designers. Our exhibitions and collections are an extension of the topics, works, and people that we cover in Modern Design Review magazine: MDR Gallery is another platform that allows us to present our thoughts, in three dimensions rather than two, on the exciting world of contemporary design. MDR Gallery presents shows with a strong narrative, both in our own space and at design fairs internationally. We commission new works and installations and we work with a roster of young international talent. 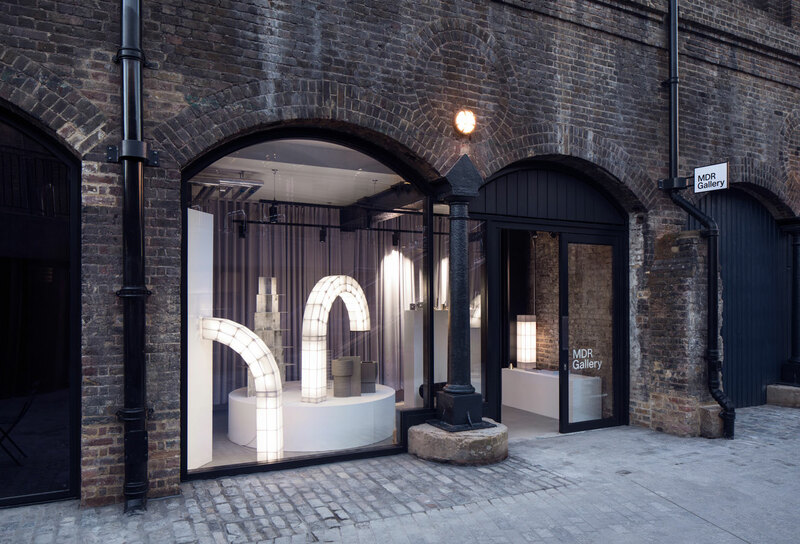 MDR Gallery is currently located at the Thomas Heatherwick Studio-designed Coal Drops Yard in London. MDR Gallery first presented the group show Alu! At Collectible in Brussels, and again during London Craft Week 2019. The show gathers together works in aluminium by designers each using different techniques in its construct. Aluminium is the third most common element on earth (after oxygen and silicon) and used so extensively in the manufacture of everyday objects we hardly even register its abundance. As the demand for aluminium increases and its applications broaden, discussions about its manufacture and environmental impact are gathering momentum. Meanwhile, this most familiar and inconspicuous of metals is also finding its way into the workshops of emerging designers. Alu! gathers together some of this work and demonstrates the different techniques currently being employed in its transformation; from hammering and polishing to spinning and casting. We also produced an essay to accompany the show that explores the use of aluminum in contemporary and future design and industry. 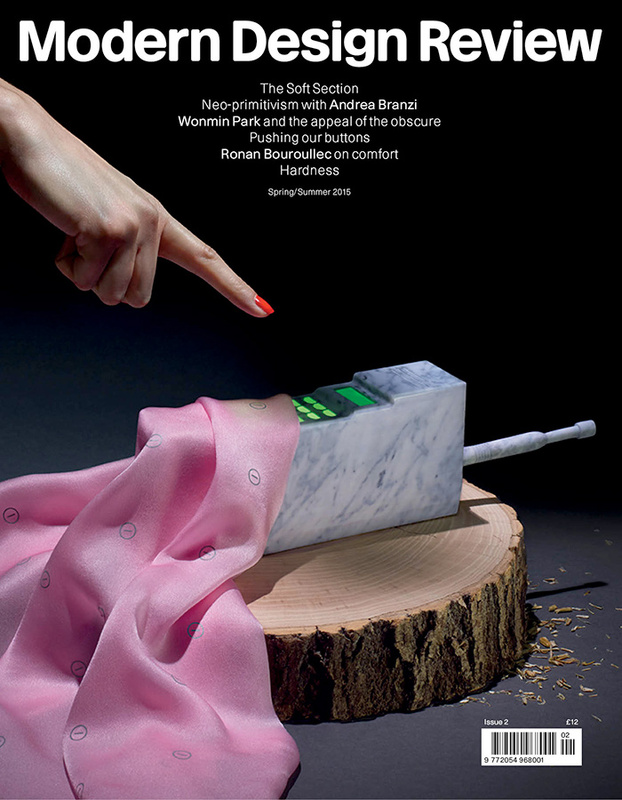 Featuring works from: Sigve Knutson, studio vit, Radek Husak, Wendy Andreu & Bram Vanderbeke, Silo Studio. Crowd Pleaser presents the work of a new generation of designers who are using ceramic as a medium for their own expression. Within the past few years there has been a rapid and dramatic shift in the perception of ceramic as a creative material and, subsequently, its place within contemporary design. Once the preserve of craftsmen and women, with value placed upon it relative to the level of skill and expertise with which it was processed, or alternatively; a useful everyday material for industrial mass-production, ceramic languished. But, today, makers are exploiting the potential of this most pliable material. At MDR Gallery we recognise that the fashion for inventive and extraordinary design-led studio ceramics has reached a crescendo. We chose to celebrate that and gather together a selection of some of the most experimental and extraordinary work in this area. Featured work from: Victoria Andrew, Dimitri Bähler, Erika Emerén, Emily Stapleton Jefferis, Gitte Jungersen, Romain Kloeckner, Ian McIntyre, Studio Mieke Meijer, Studio Joachim-Morineau, Granby Workshop, Sara Söderberg, Floris Wubben. The Vessels series by studio vit was launched at MDR Gallery and presented within an installation of further works by studio vit. Vessels is a new collection that comprises handmade table-top objects in crystal glass and bone china. The collection consists of three different drinking glasses and two carafes in crystal glass, and two cups and a jug in bone china. The crystal glass is as thin as possible, challenging what is possible to achieve with the material whilst the bone china is delicate, reminiscent of eggshell. 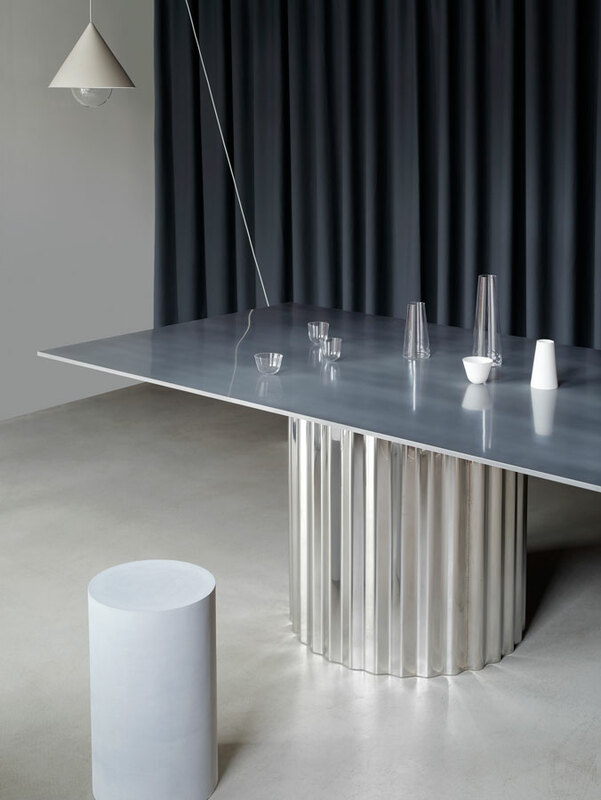 The installation for MDR Gallery by studio vit included several new products including the spectacular Inox table. The beauty of the Space Frames system by Studio Mieke Meijer is that it is modular. After the successful festive installation of Space Frames drew to a close we, and Studio Mieke Meijer, were invited to reconfigure the Space Frames into a new installation that would continue to bring light and function to Coal Drops Yard for a further period. The second iteration of the Space Frames saw the lights transform into illuminated seating installations which were placed around the public spaces, inviting places to pause and creating vistas across the development. The Space Frames installation is a dynamic work commissioned from MDR Gallery by Company Place for the festive period at Coal Drops Yard and Granary Square in London. 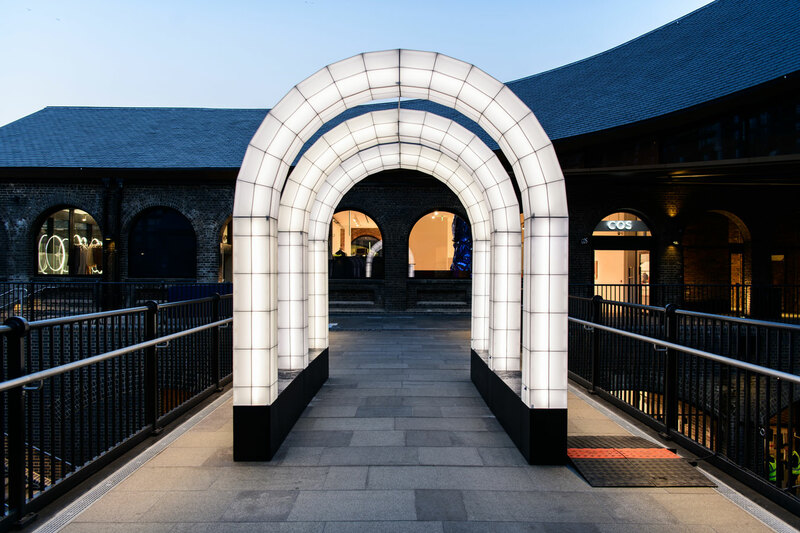 These giant sculptural lights by Eindhoven-based design studio Studio Mieke Meijer responded to the surrounding architecture; tracing the arches and mimicking the graphic outlines of Coal Drops Yard’s industrial Victorian structure. The lights were intended to act as landmarks, drawing visitors towards and beneath them, visible across the landscape of Coal Drops Yard and beyond. Just as the reopened Coal Drops Yard is a celebration of industrial engineering, so the Space Frames are similarly inspired by the timeless beauty of rigorous and functional industrial architecture. This very large-scale public installation was an incredibly successful addition to Coal Drops Yard and has set a precedent for further ambitious design projects there. Schema explored the application of architectural rationality to systems of design manufacture. The works exhibited as part of Schema are the products of invented systems of making, all inspired by architectural construction or archetypal forms. The work of Eindhoven-based Studio Mieke Meijer is at the centre of the Schema exhibition: The Space Frames, a series of large sculptural lights, embody this mathematical and rational system of making where modular sections come together to build graphic and architectural forms. Principles of engineering are also articulated in Studio Mieke Meijers Formworks, the Pyramids collection by Paris and Ghent-based designers Wendy Andreu and Bram Vanderbeke, Changeable (Without Change) by Ward Wijnant and the Tunnel collection by OS & OOS. Vessels by studio vit, Beam by Silo Studio and Collected Works by Minimalux completed the show. 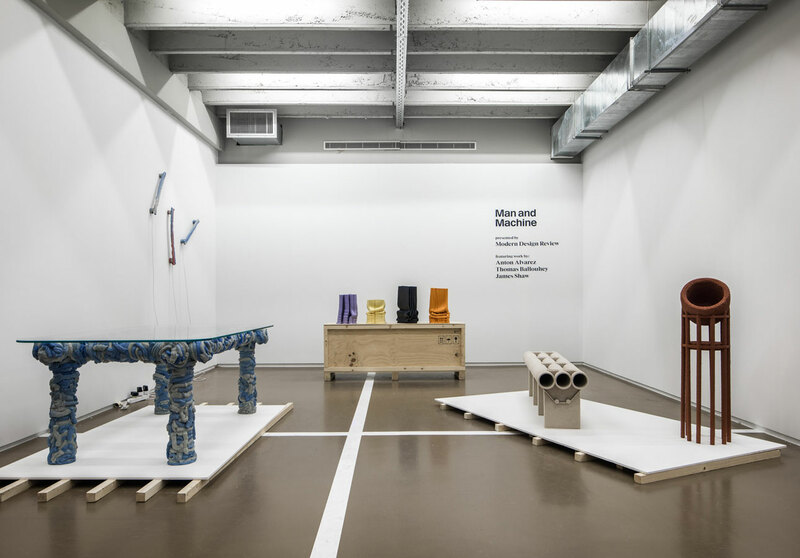 MDR Gallery presented the Man and Machine show during the premier Collectible design fair in Brussels. We brought together the work of three designers; Anton Alvarez, Thomas Ballouhey and James Shaw. Each designer had developed an original process involving a unique machine. These machines are themselves significant design projects; tools for creative production that offer a controlled output whilst also allowing the designers to work in a small scale, craft-like way: Alvarez’s Extruder is purpose-built to squeeze large quantities of clay through specially made dies. Ways of Altering by Thomas Ballouhey uses an adapted industrial sand blaster that coats constructions made from found materials whilst James Shaw invented and made a Plastic Extruding Gun which allows him to work by hand, an unusual approach for plastic manufacturing. Featuring an extensive contemplation on the qualities of clay, including homage to Bernard Leach by Max Lamb and a look at Industrial Ceramics by Marius Hansen. A focus on the intimacy of cutlery design, exclusive access to Piet Oudolf’s private garden and a readers gift from the king of design fun, Bertjan Pot. Issue 2 pushed our buttons with on/off design, celebrated ‘soft’ with a section on textile and featured an original story by Ronan Bouroullec on comfort. We rejoiced at the work of Andrea Branzi and matched Wonmin Park’s hazy colour theory. The inaugural issue of Modern Design Review shone a light on the wonderful work of YrjöKukkapuro. We placed Martino Gamper’s work inside Mackintosh’s Glasgow School of Art for an Arts and Crafts showdown and invited Daniel Rybakken to tell us the story of his dedication to light. See our film from the magical Sogetsu school Ikebana on Nowness. Vessels is a new collection from studio vit that comprises handmade tabletop objects in crystal glass and bone china. Each piece is unique, varying slightly in shape and thickness. The collection consists of three glasses and two carafes in crystal glass, two cups and a jug in bone china. The crystal glass is as thin as possible, challenging what is possible to achieve with the material whilst the bone china is delicate, reminiscent of eggshell. The Vessels are purposefully light and fine, emphasising a closeness to the liquid which heightens the experience of drinking. Prices: £36 for a set of two white or red glasses, carafe £36 and £40. Tea cup £34, coffee cup £28, milk jug £38. The Beam products by Silo Studio are being sold exclusively by Modern Design Review. These clever objects are made from off-the-shelf industrial I Beam which is put through a minimum of processes (cut, drilled, tumbled) to make either a soap dish or a candlestick holder. The candleholders come in three sizes. Prices: Soap dish £35, single candlestick £25, large single candlestick £35, large double candlestick £40.